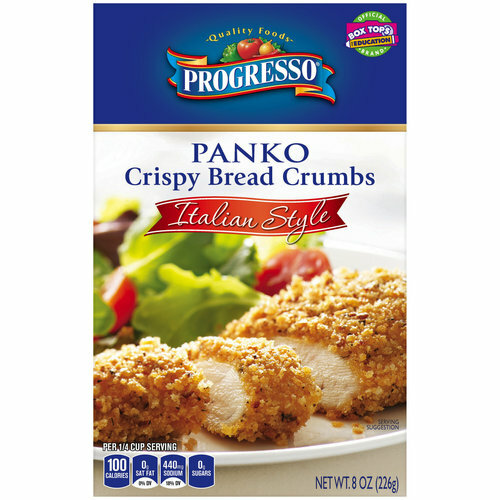 Progresso Italian Style Panko Crispy Bread Crumbs are made with a flavorful blend of basil, roasted garlic, onion and other spices. 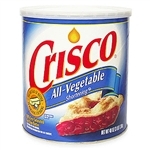 The light, crispy coating is perfect for chicken, pork or fish. What is Panko? Progresso Panko Crispy Bread Crumbs are Japanese-style bread crumbs. The larger flaky crumbs result in a flavorful, light and crunchy coating perfect for breading fish, poultry, pork, seafood and vegetables. 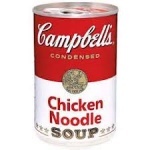 It can also be used as a crispy topping on baked dishes such as casseroles! 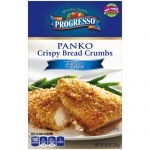 Panko is the secret to a great crunch! Wheat Flour Bleached, Maltodextrin, Salt, Canola Oil, Dried Roasted Garlic, Yeast, Sugar, Basil, Spices, Onion Powder, Paprika, Caramel Color, Natural Flavor, Freshness Preserved By Ascorbic Acid.